More than 2,000 third- and fourth-graders from around the county are spending a couple hours this week learning about agriculture, life on the farm and history during the McHenry County Farm Bureau's biennial Ag Expo. The McHenry County Historical Society & Museum participated once again, spearheaded by the Education Committee and its chairwoman, Judy Beth Hervert. Since 1998 the expo has reached more than 40,000 students. 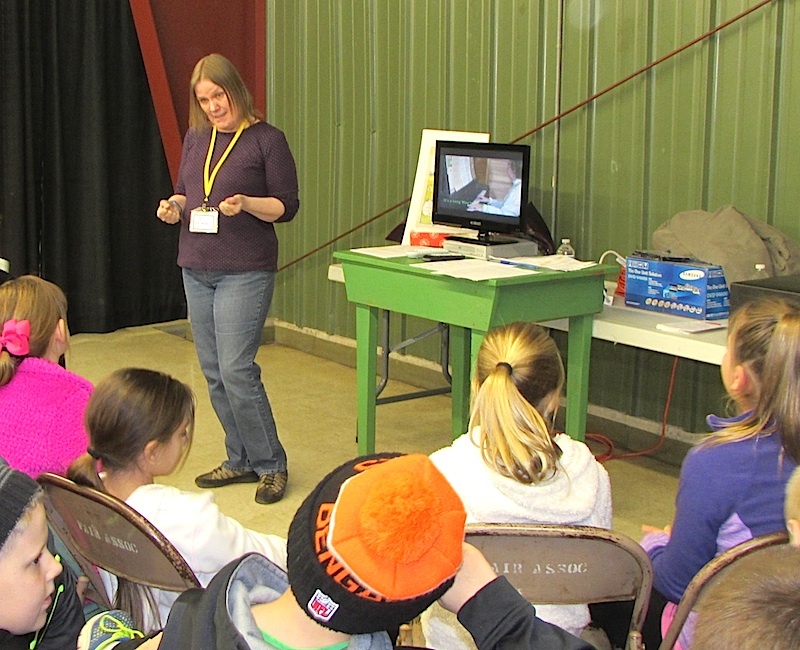 Each class was exposed to six-minute presentations from 20 different agricultural booths. The booths included a program on turn-of-the-century music presented by historical society volunteers. It included snippets of songs performed on the piano by Mary Ellen Heelan, and filmed and edited by Don Rose. Students also had an opportunity to crank a real Victrola record player and pass around 78rpm record from that era. Out on an isolated farm or in a cabin on the frontier, families had few options for entertainment. Music – singing, playing a simple instrument or music-heavy events at community churches or one-room schools was welcome outlet to socialize and relax from the day's labor.